A majority of our country’s middle-income Boomers and retirees have significant gaps in their understanding of how federal taxes will impact their retirement finances, according to a new study released by the Bankers Life Center for a Secure Retirement ® (CSR). In fact, today, more Americans have an accurate understanding of how lottery winnings are taxed (94%) than the mainstays of their retirement income: Social Security benefits (39%) and retirement accounts, such as traditional IRAs (35%), Roth IRAs (31%) and 401(k)s (29%). 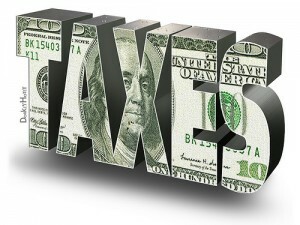 The Retirement Tax Considerations for Middle-Income Americans study, which focused on 1,000 Americans ages 50 and older with an annual household income of between $25,000 and $75,000, found that respondents also share a dislike for doing taxes and filing their personal returns. When asked to choose which activity they disliked the most, respondents say that doing taxes (23%) is almost equally as disliked as the unpleasant experience of going through airport security (29%). In fact, getting a flu shot is preferable to doing taxes for many middle-income Americans over age 50. However, when it comes to completing and filing their annual tax returns, only four in 10 (38%) work with a tax preparer. More than half (54%) prepare and file their own tax return, with one in three (31%) using tax-preparation computer software. Nearly one in five (18%) complete their tax returns on their own without any external advice or guidance. 401(k) plans and traditional IRAs are a popular way to save for retirement but a large percentage of older Americans are unaware that significant tax penalties apply when rules governing these accounts are not followed. More than half (57%) do not know that 70½ is the age at which required minimum distributions from traditional IRAs and 401(k) plans must begin. Only 2% of respondents were aware of all four exceptions. Claiming all eligible deductions and dependents is a common way to reduce an individual’s total tax burden. However, most middle-income Americans age 50 and older cannot identify many of the tax deductions potentially associated with retirement. The research for this report was conducted in February 2014 for the Bankers Life Center for a Secure Retirement by the independent research firm The Blackstone Group. The full report can be viewed at CenterForASecureRetirement.com. A nationwide sample of 1,000 Americans ages 50 and older, who have an annual household income of between $25,000 and $75,000, participated in the internet-based survey on questions relating to federal taxes. The margin of error is +/-3.1 percentage points at the 95% confidence level. The Bankers Life Center for a Secure Retirement is the Company’s research and consumer education program. Its studies and consumer awareness campaigns provide insight and practical advice to help everyday Americans achieve financial security in retirement. To learn more, visit CenterForASecureRetirement.com. Bankers Life products focus on the insurance needs of the middle-income retirement market through nationwide subsidiaries of CNO Financial Group, Inc. (NYSE: CNO). These companies offer a broad portfolio of life and health insurance designed especially for those near or in retirement. To learn more, visit BankersLife.com. « How Has ACA Altered Your Benefits Strategy?